Weiss Ratings, the only financial rating agency currently offering cryptocurrency reviews, has released its full list of 93 coins and tokens to the public for free – this week only. Access to the list is usually reserved exclusively for paid subscribers. 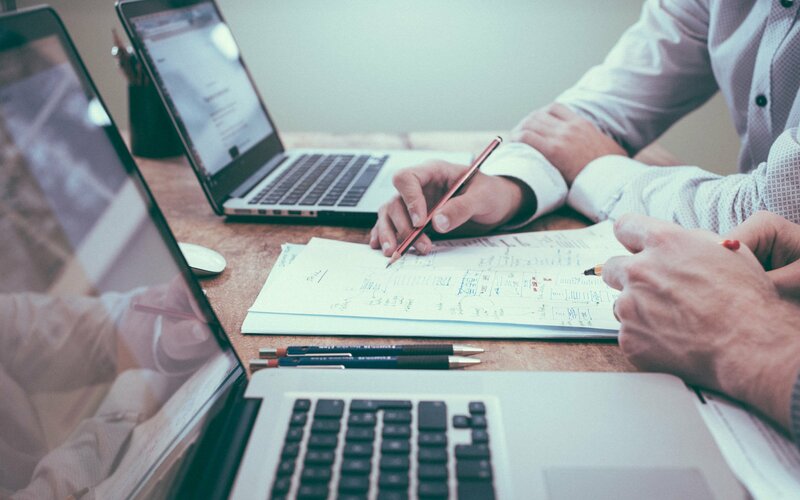 Developers want a grade based exclusively on what their cryptocurrency project has achieved in terms of technology and adoption, regardless of market fluctuations. In contrast, investors seem to be more interested in how much money they can make or lose. Our overall Weiss Rating is a blend of both. But now, we are also breaking out the components so users can better understand what’s under the hood. 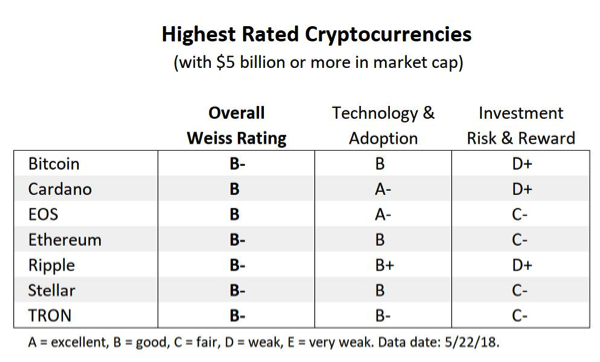 Among cryptocurrencies with a market capitalization of $5 billion, only seven currently merit an overall Weiss Rating of B- or higher. Those seven are Bitcoin (BTC), Cardano (ADA), EOS (EOS), Ethereum (ETH), Ripple (XRP), Stellar (XLM), and TRON (TRX). Not every cryptocurrency received passable scores. Among cryptocurrencies with a market capitalization of $100 million or more, four currently represent the worst of the worst. Those four are Bitcoin Gold (BTG), Bitcoin Private (BTCP), Electroneum (ETN), and ReddCoin (RDD). The overall Weiss Rating is based on a complex algorithm — not simply an average of the two component grades. At this stage in the industry’s transition to newer technologies, it remains extremely difficult for any one coin to achieve top scores across the board. Older generation coins with broader adoption typically lag in technology. Alternative coins with more advanced technology lag in adoption. And none currently have a risk-reward balance that’s comparable to many traditional investments. Anyone interested in checking out Weiss’ full list for free can do so by providing their email address here. What do you think about Weiss releasing its cryptocurrency ratings for free this week? Do you agree with their scores? Be sure to let us know your opinions in the comments below!